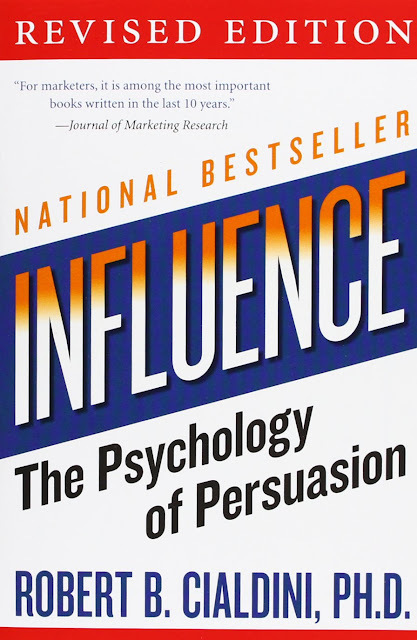 These 6 methods researched by Dr Cialdini in the 80s are well adopted by many authorities professional in manipulating their client and customer into a psychological state of compliance when faced with a request. These follow six main psychological influence principles, which play on people’s inbuilt, almost automatic, response mechanisms to certain outside stimuli. People who are aware of these triggers can activate them and consequently influence others, often without the other person even realising it. Knowing what are these principles are powerful to guard yourself to being manipulated in an unsolicited moment of impulsive decision that leads to buyer's remorse. The good saying that "it takes a salesperson to smell another". You should know these at all time to prevent unexpected losses online or offline. The act of first giving a personalised and expected gift. By offering something upfront creates a social pressure for the customer to say yes when you are later asking for a close. Many people make the mistake of asking for something without providing enough "value" first. Making the customer felt being used. Wedding dinner and the baby shower is a good example. When you invite people to attend your party, there will be a social responsibility to be invited back to their wedding party. Another example is, bosses in pubs often treat their customer free beer out of good will, cause if you make them happy by first giving away, they are more likely to purchase more beer thereafter or support the girls with bar drink and so on. This works well most of the time as more alcohol mean bad judgement and a false sense of closeness. A lot of salesman from insurance love to offer "sit down" gift to present a product concept which will lead to a higher closing rate. Most of them engage young and pretty "pullers" at roadshow to work with the male market as they are helpless in front of these ladies demand since the gift handed out is free most of the time. The feeling of wanting more of those things that are less of. Sometimes it's more important to tell what they stand to lose in not getting your products over the benefit of having them. Early bird promotion from airlines always creates the fear of rising price in purchasing tickets at the eleventh hours. So much so as those "limited time", "closing down" sales moments. The infamous line, "this is the last piece and you will no longer get it if you walk out of here" are common in product salesman. And the reason it is so famous because it just almost always works. The general feeling of following credible, knowledgeable experts on advice and instructions. A lot of time, you can be relative famous and expert in your field. Many people heard about you and generally goes to you from advice and solution. Top salesman generally had wider influential status and they had a very small elite of COI (centre of influential) that no many people had the access to. They can execute a similar task more efficiently and effectively with a relatively shorter amount of time. In the same industry, people tend to help one another as they are well aware of the principle of reciprocity. Youtuber, bloggers with a large following also often seen as an authority figure and able to influent buying decision hence they are always invited to close events and influential sponsorships. Doctor, lawyers and much other professional love to display their awards, doctrine and certification on the wall to establish authority presence. Hawkers, restaurants and website love to display connection of their establishment with local authority or well-known celebrity or other authority website affiliates. Looking for small commitments that able to be made consistently. A research shows that it takes an average of 7 acknowledgements before a deal can be closed. Typically a salesperson will be asking many simple close-ended questions that lead you to answer with a "yes" regardless of the outcome of the question. People tend to say "yes" to people they like. There is 3 attribute that makes people like us more. They are similarity, compliments and cooperative. Its natural with buy with a person that you like, a lot of time I will throw in entertainment value in my sales presentation to make myself comical to gain their liking. In my sales experience, I love to match the language lingo, the tone of voice to find similarity between my client. I will compliment on their success and outlook. Lastly, I always agree with their opinion and never disacknowledge their opinion and experiences. When making a decision, people tend to look for the actions of others before determining their own. These had a big connection with peer pressure. How a lot of people picked up smoking at a young age just because the rest of the people are doing it. It looks cool and readily accepted into a new community. This is a typical example a lot of people are exploiting this method by referencing testimonials and using social proofing like the review of products before asking for commitments. I had definitely applied these methods to improve my influential during my sales presentation. Most of the time, I also use this method in my everyday life to make more friends and persuasion people's decision. Knowing these doesn't guarantee you stay top of the game in your sales industrial but it is almost always helpful to get oneself out of a difficult situation when you spot others using it on you.